NEW PATREON SUPPORT PAGE – Yay! The Low Tox Club is BACK, but there’s a catch: YOU decide how much you want to spend to be a part of it. Do you make knee jerk decisions, or decisions that later don’t seem to have been very smart for your future that frustrate you? 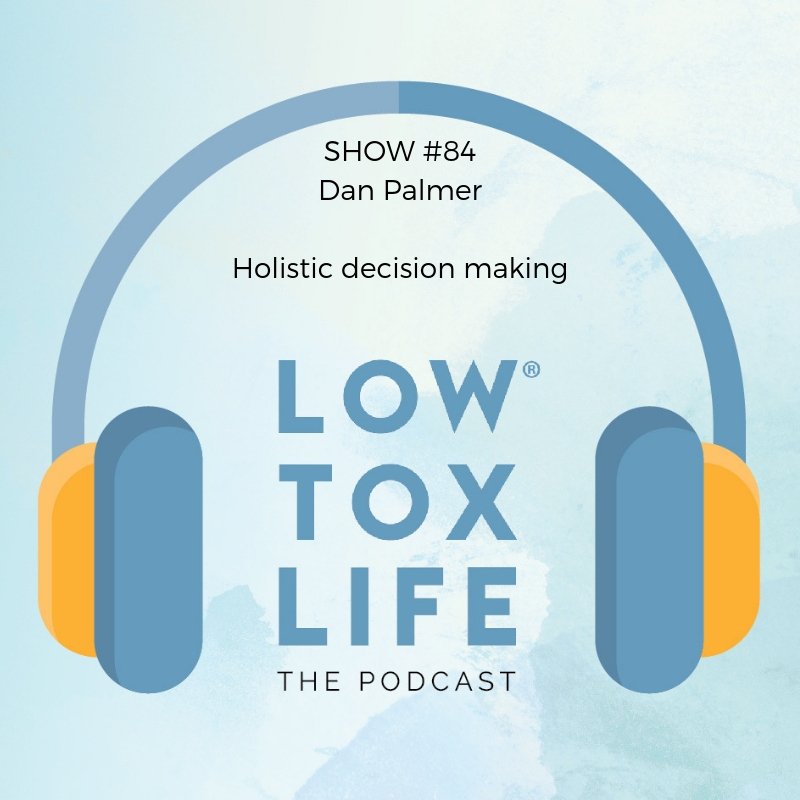 While today’s show isn’t about any aspect of life specifically, it is about learning the art of holistic decision making from the man who has a Phd in the subject, Dan Palmer. Join me for a lovely, fun and accessible chat exploring holistic decision making as a tool for steering your life, business, or whatever into a space that brings you quality of life whilst keeping you in check on the big picture stuff, like the planet we live on. It’s packed with useful ideas and tools to put into practice. 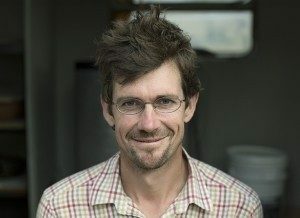 Want to see Dan in action and attend the 2 day workshop he’s doing coming up in May with with wonderful Milkwood Permaculture? BOOK HERE and if you feel inclined to tell me what’s changed for you afterwards I’d LOVE to hear. I have noticed some interesting changes since my chat with Dan that have put one of his workshops high on my list in the coming months! Holistic decision making is a different way of approaching life, a tool to help clearly articulate how you want to live your life and then help you make decisions that will achieve this vision. Holistic decision making has four clear steps: getting clear on where you want to be, getting clear on where you are right now, getting clear on what you have to do to get there, and getting clear on the indicators that will tell you that you have gotten to where you want to be. Holistic decision making requires us to focus on what we want to see happening in our lives rather than focusing on the worst case scenario. The first step is to create a ‘context’ for yourself, your family or an organisation/business you are part of that captures deepest values, mission and desires along with what must be done and nurtured to achieve them. This “context” includes a “quality of life statement” which sums up what we really want to do and who we really want to be. Use the wording that works for you – it needs to resonate deeply with you and your deepest desires. The “quality of life statement” is different to a goal which is a specific thing you want to achieve at a specific point in time. Most of the time we realise when we put together a “quality of life statement” that our goals are not aligned with what we really want to feel in our life everyday. The key here is to answer this question: what’s most important to you? And then bring this to the foreground in moments of choice. A “quality of life statement” is something that can be reassessed over and over again. Once we have the context, then we use it to filter our decisions and take actions based on their relevance to this context. Making decisions is the steering wheel that life gives us so we need to take responsibility for making the right decisions for ourselves. It’s important to have discipline, to take action in order to make this work for you. How do you inject that into your life so it has a chance to be true? What are the actions that can enable that? Cultivate a deep awareness of what it is that you’re about and commit to only make decisions that keep that true. Discipline cultivated towards a random goal will not stick. If you cultivate discipline towards something that is really truly important for you, it will work long-term. Don’t be constrained by a tiny array of options. Most of the time, the right decision is not a decision you were aware was possible a moment ago. Holistic decision making is proactively making decisions that are steering the course of your life into the space your heart most truly desires. The last step is to seek and use feedback to actualise, maintain, and evolve your context over time. Dan’s next holistic decision making workshop will take place on 19th and 20th May in the Mornington Peninsula. You can find out more HERE. You can check out Dan’s permaculture work and his approach to holistic management HERE. I’m at a cross roads with my career and we’re also deciding whether to make a big lifestyle move from Melbourne to Hobart (but this decision should be made by the time you need someone to interview!). I’m stuck on how to get an awesome business/charity idea I have up and running, and as a busy Mum to 2 young boys, part time worker and charity organiser, I don’t have a lot of spare time to knuckle down on my idea! Alexx you always come up with such different and thought-provoking guests and this one ticks that box yet again! I always look forward to my Monday morning train ride. Quality of life statements – what an amazing concept! I went to sit down and start to make a couple for my life and instant overwhelm. This process is definitely going to take some time and exploration – which excites me. I’d be happy to be a guinea pig if you need one. I would be honoured to be your guinea pig. I have done 2.5 degrees (all of which I don’t use) and am currently a mum to a 15 month old. I feel like I have wasted my life on learning about stuff that I was not passionate about. I would love to get some help so that I can decide on a career path to see me through the next half of my life. I am a passionate person but don’t know how to channel that into a career. Love your podcasts. Thanks for bringing this concept to us all. What a fantastic interview, i will be listening again, with a cuppa and a note pad. I have to figure out how to leave reviews, because i enjoy all of the shows iv listened to so far. As for needing help making a decission lol which one? My brain needs un-scrambling first i think, so point me in the direction of a show that can help with that and id be appreciative. Alexx this is so awesome. Why do we make our lives so difficult? I’m a bit behind the times and have only just discovered your podcasts. I have loved them all so far and found this one very muched piqued my interest. Very interesting! Have the names been drawn yet and when is the follow up podcast?